At Ascot Horseboxes,we specialise in providing high quality horseboxes at great prices. We have been running since 1984 and stock various models to suit your requirements. Our aim is to provide only the best horseboxes. Get in contact with us today to learn more. We have finance available on our premium models. All of our horseboxes can be driven with an ordinary car license so there is no hassle. 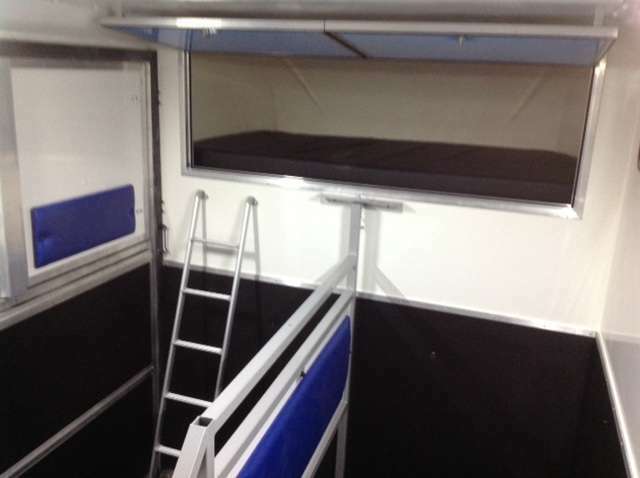 Our horseboxes contain a sleeping compartment within the luton section so you can rest with ease. Learn how we can help you today. Easy care horse area with opening windows to sides. Hob, grill, oven, fridge and s/steel sink with pumped water. Can be driven with a car license. Aluminium anti slip floor and ramp covering.